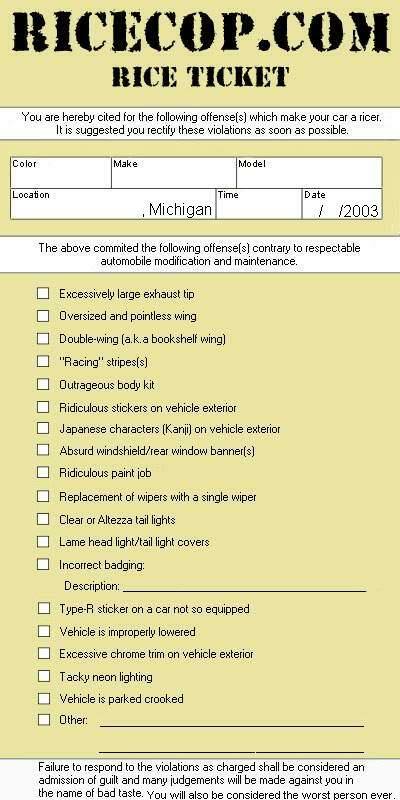 If so, you may want to ticket the offending vehicles. Last edited by Cuda340; 08-09-2010 at 02:30 PM. Quick Reply: Ricers Have You Bugged?